Responsible for developing and formulating policies and procedures for Gas Instrumentation and Regulation and managing the safe reliable operation of critical infrastructure, including pressure control, pressure monitoring, and odorization. Directs the planning and coordination of all operational activities within the department. Accountability includes but is not limited to, public and employee safety, O&M and Capital budgetary controls, system operations, construction and maintenance activities including gate stations and regulator stations. Directs the safe reliable operation of critical infrastructure, including pressure control, pressure monitoring, and odorization. Directs the development and implementation of standards, policies and procedures for the Gas Instrumentation and Regulation group. Collaborates with other Gas Directors in developing a robust, consistent and fully integrated framework of work practices ensuring the delivery of service excellence and best in class processes. Responsible for ensuring that the department complies with all regulatory and safety codes and requirements for gate stations and regulator stations; ensures systems operate in compliance with Company environmental operating procedures. Manages and provides technical guidance and functional and administrative direction to all managers, supervisors and team leaders responsible for Instrumentation and Regulation operations. 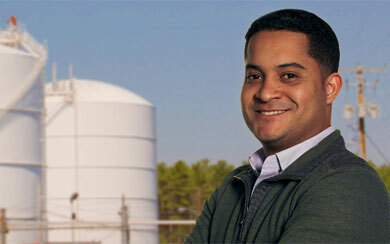 Serves as Subject Matter Expert (SME) on Instrumentation and Regulation and is active in the gas industry. Reviews and approves time, vehicle and expense reports, purchase requisitions and invoices related to departmental activity. Ensures adherence to Eversource labor negotiated contracts, maintains a working relationship with the area bargaining unit leadership and effectively administers the agreement between the Company and the Union. Responsible for developing, and managing operating, maintenance and capital budgets within the department. Serves as Eversource representative in developing and maintaining effective relationships with committees, task forces or work groups representing the Company’s industry interests, such as the American Gas Association, Massachusetts Department of Public Utilities, Connecticut Department of Public Utility Control, Northeast Gas Association, etc. Performs the responsibilities of storm duty assignments as required. Strong knowledge of gas engineering, construction and maintenance policies, procedures and practices. Knowledge of applicable governmental codes and regulations affecting gas distribution. His journey has taken him from the Dominican Republic to Eversource to UMass Lowell where he’s currently working toward his MBA.